Gardening for Birds & Butterflies will inspire you to transform your home landscape into a healthy haven for friends, family, and wildlife. Gardening for Birds & Butterflies will inspire you to transform your home landscape into a healthy haven for friends, family, and wildlife. 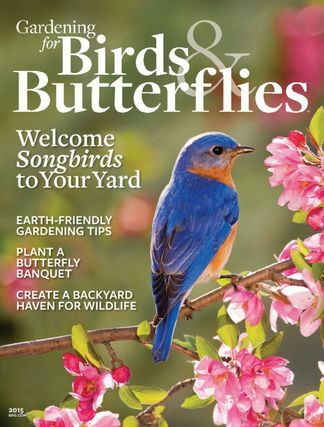 From creating backyard bird and butterfly habitats, and organic vegetable gardens to nurturing wildflower meadows and native plant collections, Gardening for Birds & Butterflies will help you find easy and practical ways to garden—and make choices—with respect for all living things. This issue is packed with helpful hints, inspired locations, easy weekend projects for the whole family, and profiles of community role models who are doing their part to leave this planet a better place, one backyard at a time. Be the first person to tell us what you think about Gardening for Birds & Butterflies and you'll save $5 on your next purchase! 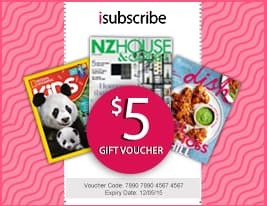 https://www.isubscribe.co.nz/gardening-for-birds-&-butterflies-digital-subscription.cfm 15732 Gardening for Birds & Butterflies https://www.isubscribe.co.nz/images/covers/nz/541/15732/square/GardeningforBirdsButterflies191610512.jpg NZD InStock /Digital/Home & Garden/Gardening Gardening for Birds & Butterflies will inspire you to transform your home landscape into a healthy haven for friends, family, and wildlife.